This Stunt Flyer Mega Drone soars, floats and hoovers just like a real drone. 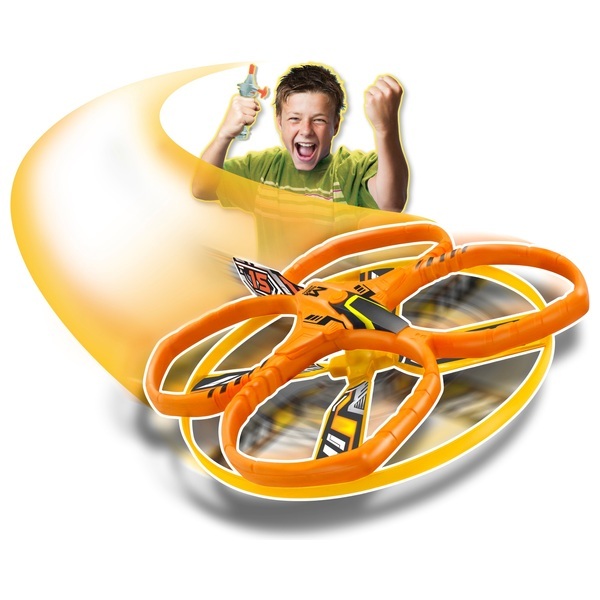 Stunt Flyer Mega Drone has a soft aerodynamic foam body. It can fly up to 70ft/21m. It’s really easy to use. Just pull the cord and your Stunt Flyer Mega Drone will fly.